I’ve been asked to give two seminars for 60 high-school students at the end of the month. Many of the kids who have signed up for the seminars are on a career track to become nurses, doctors, respiratory therapists, occupational therapists, and physical therapists. It’s an honor to have the opportunity to share how people in these careers literally saved Jaxson’s life. It is my hope that our story can have a lasting impact on these kids. I hope that hearing first-hand what it was like for a “real” family helps them become excellent health care workers. People who are willing to listen, and then read between the lines. People who can balance their duties with compassion and respect for the family; and who are aware of their body language as well as their words. People who are able to show empathy and give support to a family in need. People a family can trust with the life of their child. I’m working hard to find ways to relate our experience to high-school life. I’m planning to show tons of pictures and videos. I’m also planning to visually represent Jax’s weight when he was born by holding 2 cans of pop – 24 ounces – in my hand. Then, I’ll show 10 cans – 120 ounces – to represent the average weight of a full-term baby! Can you think of other ideas or examples that would help “drive home” the prematurity / NICU experience for a high-schooler? Life isn’t fair. Bad things happen to good people. Not everyone has a healthy pregnancy or a healthy baby. Preemies require a lot of extra care. Many will have delays that require hundreds of hours of therapy. 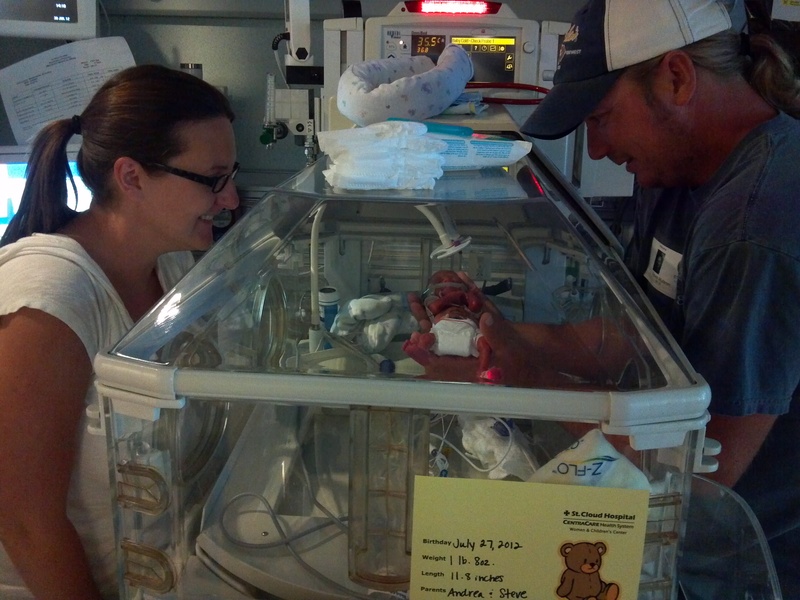 There are hidden problems that preemie parents deal with every day. For example, trouble gaining weight, feeding tubes, insurance calls, isolation restrictions. Teen moms are one of the highest at-risk groups for premature birth. Prematurity is a very isolating experience. The road doesn’t end when you leave the NICU. Trust your instincts when it comes to your body. You are SO much stronger than you know or will ever give yourself credit for. Author Andrea MPosted on March 31, 2014 Categories HomeTags health care workers, high-school, premature baby, prematurity, presentation, sharing our story6 Comments on What Would I Tell My High School Self About Prematurity?